With HBO and CBS planning stand-alone streaming services, the oft-maligned pay-TV bundle has begun to loosen. But it’s not clear the brave new streaming world that replaces it will actually be cheaper for consumers. By offering their networks directly to consumers via the Internet, HBO and CBS are cutting out the middleman—cable and satellite companies—and potentially undermining the backbone of the television business. On the surface, this is seen as a win for people frustrated with rising monthly television bills and paying for lots of channels they don’t watch. Other networks are following the lead of Time Warner’s HBO and CBS, including Univision Communications Inc. and possibly Showtime, which is a unit of CBS Corp.
Walt Disney Co.’s ESPN is also developing online-only platforms that would be offered separate from traditional channels. But cord-cutters should be careful what they wish for. A future where television viewers subscribe to each channel individually could be cheaper for young people who only watch two or three channels, industry executives said. But analysts say that for households filled with people of differing tastes or fans of many channels, this future could make the average cable TV bill-which hovers at around $90-seem like a bargain. CBS has set a price of $5.99 a month for its service, which launched Thursday. Initially, it will be available only in the 14 big cities where it owns TV stations, but the network aims to make it national in the coming months. Not all CBS content will be available. The biggest missing element is the National Football League, which CBS carries on Thursday and Sunday. CBS Chief Executive Leslie Moonves said he hopes that will be part of the offfering. HBO, which announced plans for its stand-alone service on Wednesday, has offered few details, except that it will debut sometime next year. HBO costs an average of $15 a month and the price for the stand-alone service isn’t expected to be cheaper and could be more costly. Univision, the dominant Spanish-language broadcaster, is working on making its UVideos website and app available to non-cable subscribers, according to Tonia O’Connor, president of content distribution at Univision. UVideos streams live and on-demand content from Univision’s broadcast and cable networks today, but most content is limited to pay-TV customers. Univision is working on offering solutions that bypass the pay-TV bundle in part because 76% of its flagship network’s viewers between the ages of 18 and 49 watch that channel alone-no others, Ms. O’Connor said. 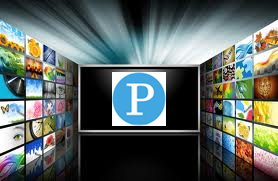 Driving the change is the growing popularity of online streaming services from Netflix Inc, Hulu and Amazon.com Inc.’s Prime Instant Video. 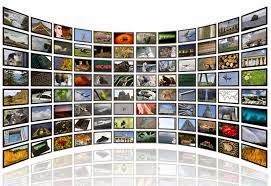 In response, many networks have started making their own content available online or selling it to such services, but usually after it debuts on their linear service. Now, though, as the number of people either abstaining from pay-TV or opting for smaller packages with fewer channels grows, traditional networks are starting to hedge their bets. “There is no question that streaming, in terms of consumer options, is becoming a reality,” said Mr. Amobi. Technology may be doing what consumer advocates and many lawmakers have long argued for-making programming available on an a la carte basis, which they believe will result in smaller bills. Some analysts however, paint a grim portrait of an unbundled world. Laura Martin, an analyst at Needham & Co., estimates that unbundling would drain half of the revenue, or $70 billion, out of the television industry. Moreover, today’s hundreds of channels would shrink down to about 20, she wrote. That is because advertising would decrease substantially on channels with reduced audience reach, forcing consumers to pay the entire cost of running the channels, instead of splitting that cost with advertisers, as is done in basic cable. Sports networks could be most at risk in an unbundled world. About half of the subscriber fees paid each month by consumers go to channels with sports, even though these channels account for less than a quarter of viewership, according to Nielsen data analyzed by Needham. If ESPN were taken out of the bundle, for example, it might need to cost as much as $30-instead of the roughly $6 per subscriber it currently charges as part of the bundle, according to SNL Kagan-to recoup its losses from reduced distribution and continue to afford its content. “We believe that only 20 million ‘super fan’ homes would pay $30/month for ESPN’s group of channels”-not enough for ESPN to have a meaningful advertising business, Ms. Martin wrote. Programmers, meanwhile, are protective of the bundle because it allows for the pairing of weaker channels with strong ones. Content companies often offer discounts to distributors for taking weaker channels along with strong ones. But some distributors are trying to do just that. Cablevision Systems Corp. is suing Viacom Inc. over bundling in a case that will be closely watched by the industry. Some cable operators, reading the tea leaves, are shifting their emphasis away from providing video to broadband in the hopes of still being the gateway to the consumer, albeit through a different pipe. But other distributors fear all these changes could be bad for their bottom line.